Last night, at the direction of President Trump, the United States Trade Representative (USTR) announced that a 10 percent additional tariff would be imposed on a massive amount of Chinese imports, including imports of aquacultured seafood products, effective on Monday, September 24th. The USTR additionally announced that these tariffs would increase to 25 percent on January 1, 2019. The additional tariffs were imposed under the President’s authority pursuant to Section 301 (19 U.S.C. § 2411) and are taken to encourage the reform of the government of China’s policies that have resulted in the transfer and theft of intellectual property and technology because of restrictions and limitations placed on foreign investment in China. Rather than address these policies, identified in a 200-page report issued by the USTR, the government of China responded to the President’s first Section 301 actions by imposing additional tariffs on U.S. goods imported into China. Because China has continued to refuse to address the Trump Administration’s concerns, the USTR has taken substantial supplemental action. The list of products released last night by the USTR as subject to the additional tariffs includes tariff subheadings covering virtually all of the United States’ imports of Chinese seafood. The final list encompasses both aquacultured and wild-caught seafood products, as well as seafood products that are further processed in China. In 2017, the U.S. imported roughly $2.7 billion worth of Chinese seafood of which roughly $1 billion was comprised of aquacultured seafood. 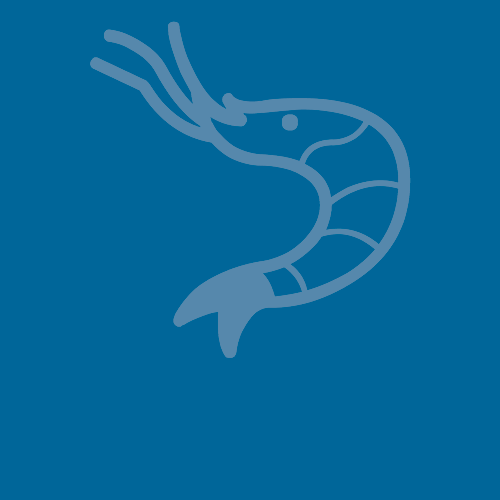 The Southern Shrimp Alliance has consistently advocated for the imposition of additional tariffs through the President’s Section 301 authority on imports of farmed seafood originating from China. 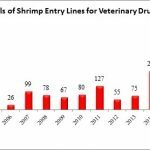 In written filings to the USTR, the Southern Shrimp Alliance documented the long history of contaminated shipments of farmed seafood to the U.S. market from China, along with the prevalent, unregulated use of antibiotics in Chinese fish and shrimp farming. The Southern Shrimp Alliance also expressed its strong support for Senator John Kennedy’s (R-LA) request to the administration that shrimp and crawfish imports from China be included in any action taken under Section 301.